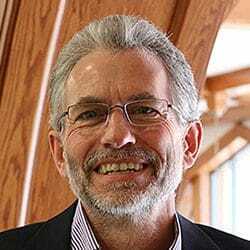 Gary Welton is assistant dean for institutional assessment, professor of psychology at Grove City College, and a contributor to The Center for Vision & Values. He is a recipient of major research grants from the Templeton Foundation to investigate forgiveness and positive youth development, and from Microsoft Research to investigate the pedagogical impact of new technologies. Having taught courses in cro ss – cultural psychology, statistical methods, and advanced statistics — his academic interests include: social psychology, conflict resolution, forgiveness, statistics, assessment, and accreditation. Welton received his B.A. from Cedarville College, his M.A. from Slippery Rock University, and an M.A. and Ph.D. from the State University of New York at Buffalo.